Cancer Research UK’s income fell by almost £45m last year, its latest accounts show. The charity’s accounts for the year to 31 March 2018, filed with Companies House last week, show income at the UK’s largest fundraising charity dropped from £679.2m to £634.3m. A large proportion of the fall in income can be explained by the one-off £32m raised by the charity through property transactions in 2016/17, which included the charity’s head office moving from Angel in north London to Stratford, east London. Donated income reduced from £441.6m in 2016/17 to £423.1m last year, which also led to the overall drop in income, the accounts show. This was due to a fall in income from events, from £65m to £49.2m, and a slight fall in legacy income, from £186.6m to £181.5m, although there was a £2.4m increase in donations to a total of £192.4m. Expenditure fell from £665.6m in 2016/17 to £652.2m in 2017/18, according to the latest accounts. The majority of the charity’s spending was on cancer research, £423m, according to the accounts, and £97m was spent on fundraising. A pensions gain of £33m meant that the charity had a net movement of funds of £25.7m, compared with a £1m loss the year before. 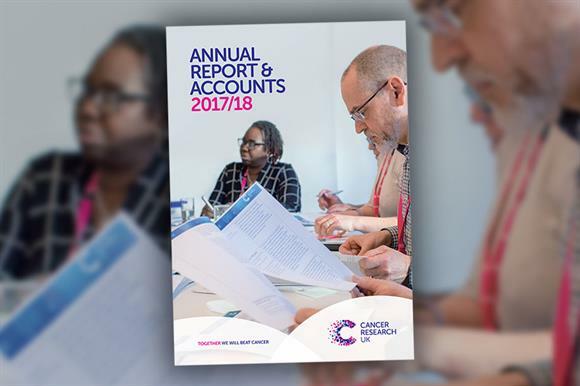 Staff numbers increased, the accounts say, from 3,909 to 4,105, with the majority of the increase coming from staff working on CRUK’s charitable activities. CRUK has appointed a new chief executive, with Michelle Mitchell due to replace Sir Harpal Kumar on 12 November. In his statement in the annual report, Kumar says uncertainty about Brexit was having an impact on the charity’s work, while he also raised concerns about the UK economy. "The still difficult economic conditions are never far from our minds, particularly the combination of a competitive employment sector and a high cost of living, especially in the south, making attracting and retaining talented staff increasingly difficult," he says.